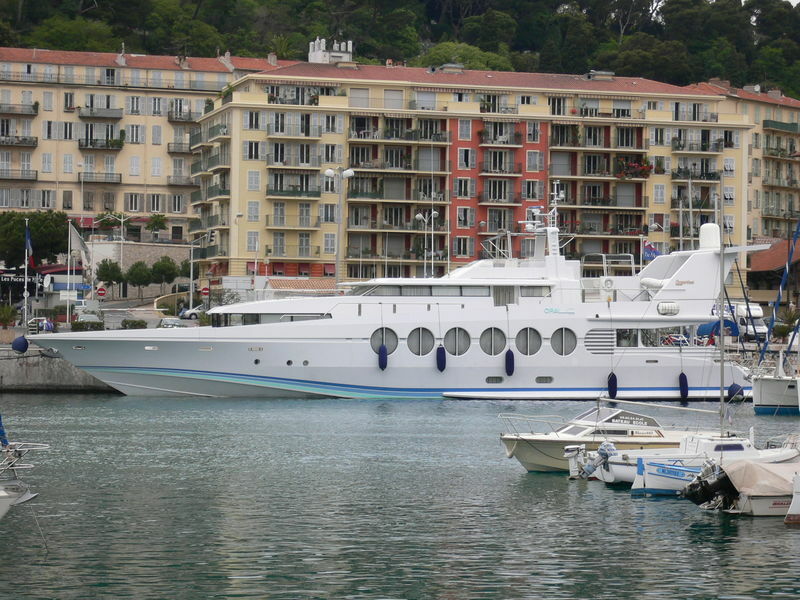 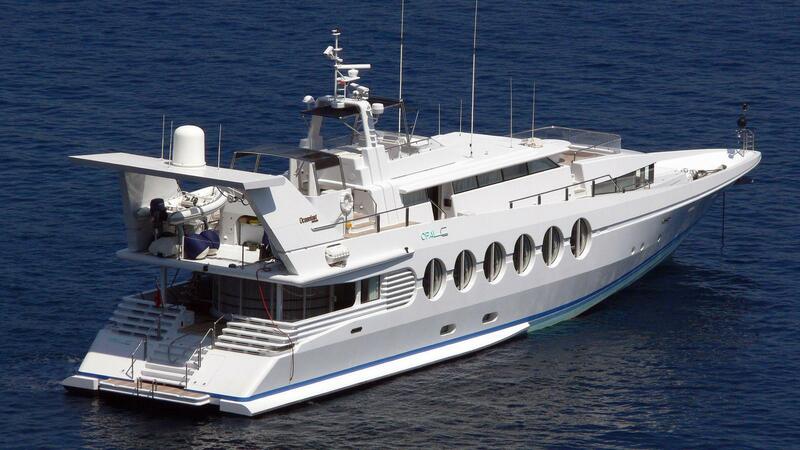 Motor yacht Lady Arraya (ex Opal C) is a tri-deck superyacht built by Oceanfast in 1990 and was refitted in 2003. 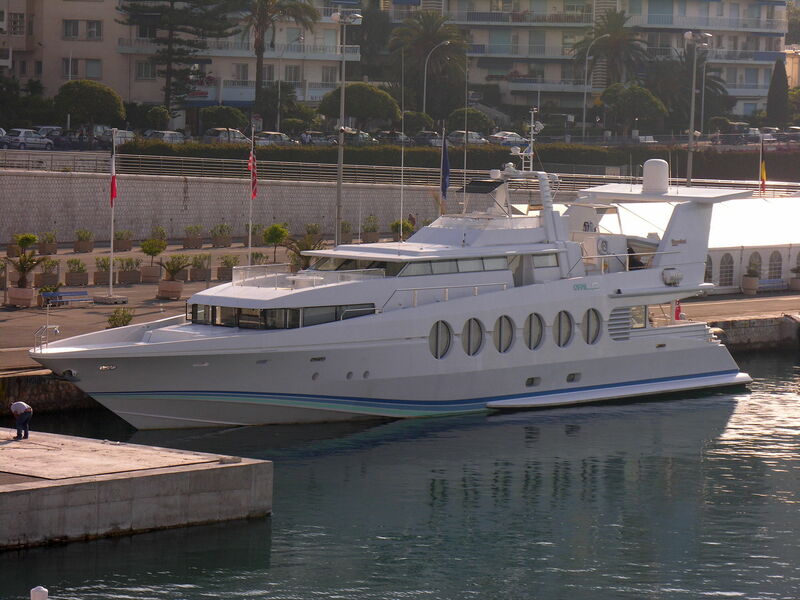 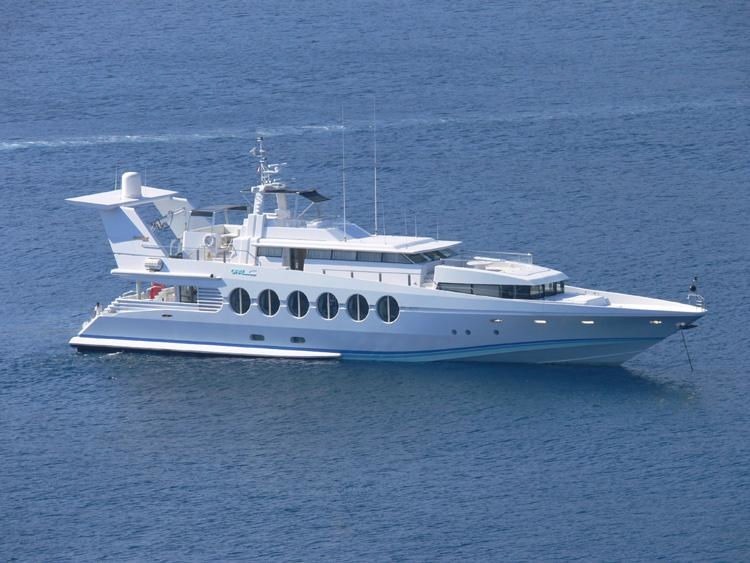 She measures 40,3m (132ft) and features exterior design by J. Bannenberg and P. Curranand. 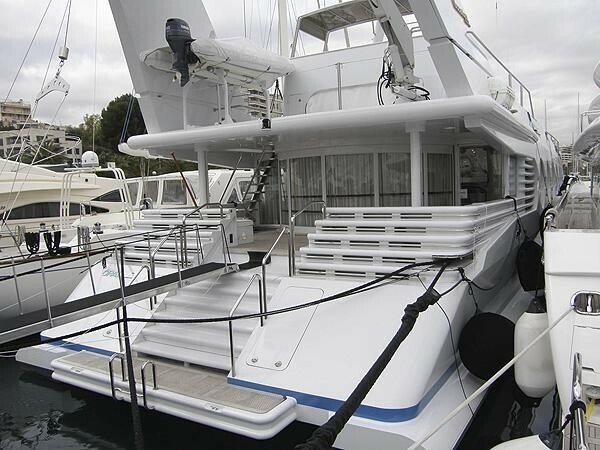 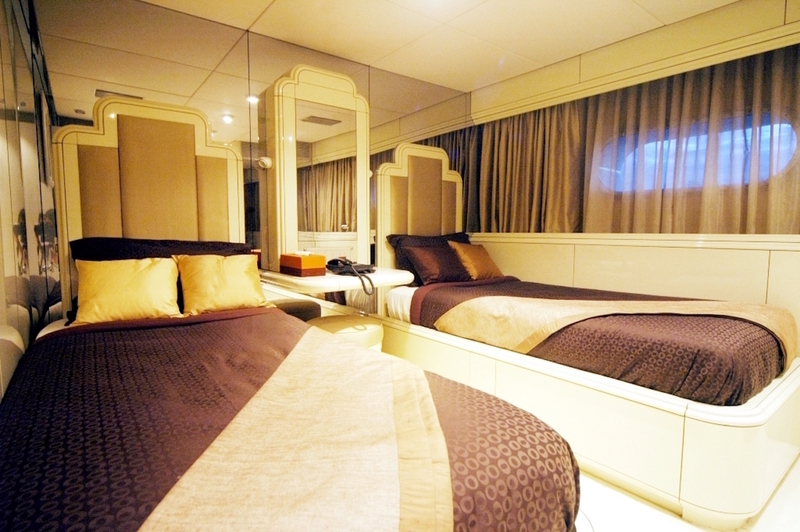 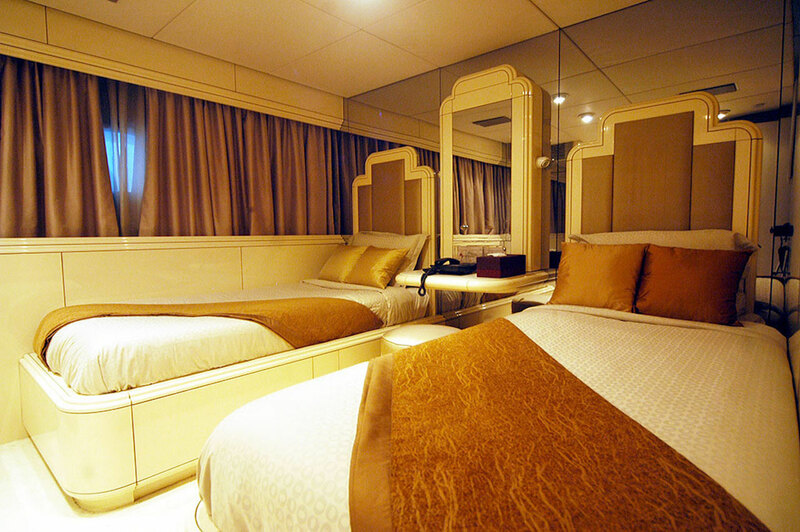 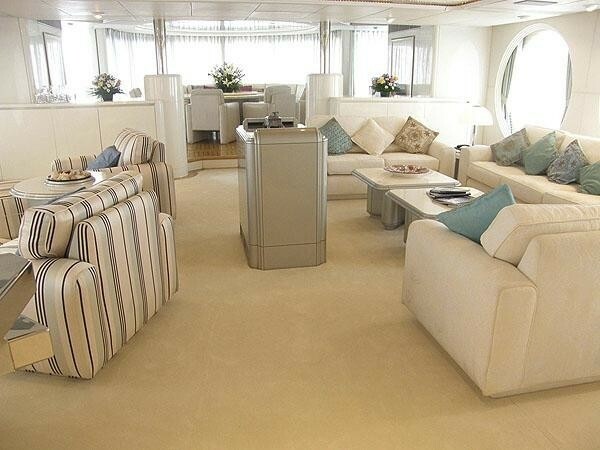 Her five spacious cabins with ensuite facilities can accommodate a total of 10 guests. 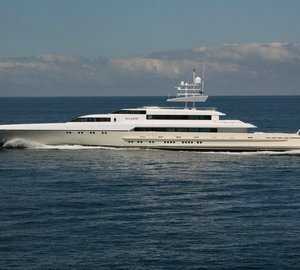 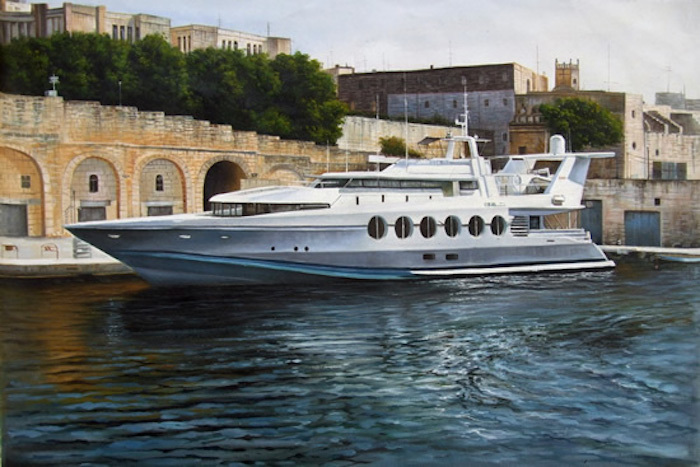 At the time of her launch by Oceanfast in 1990, motor yacht Lady Arraya was one of the largest all-aluminium yachts in the world. 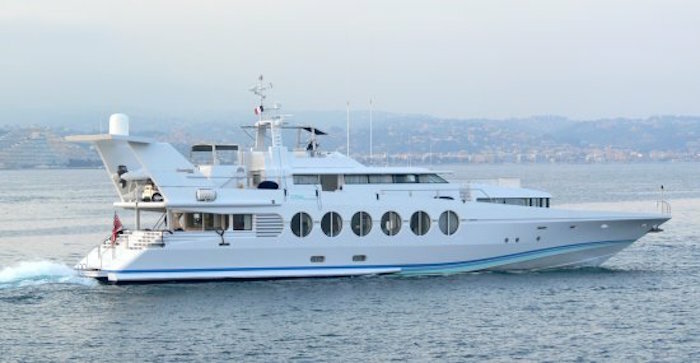 Her profile is easily recognisable thanks to her large oval windows; the spoiler on her stern makes her unique. 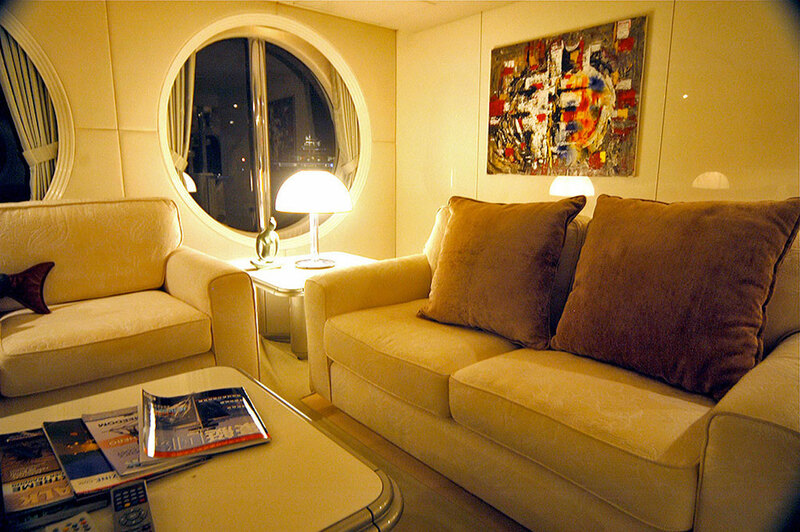 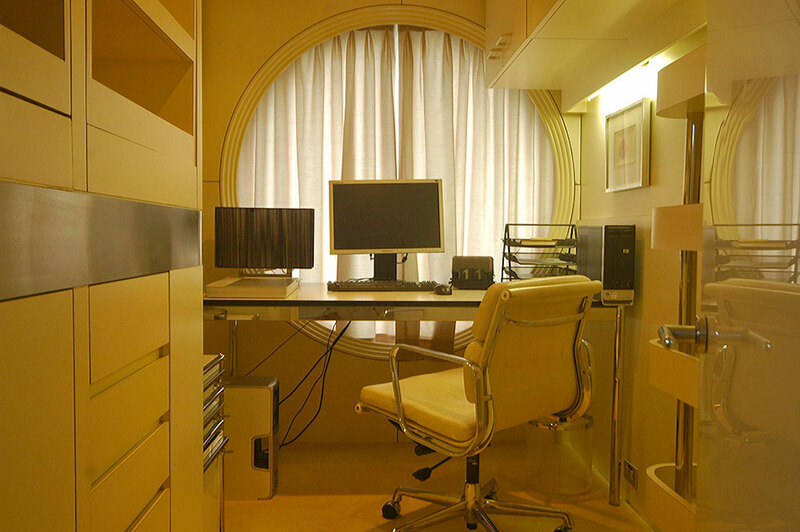 Her large and spacious salon is very bright with natural light filtering through her large oval windows. 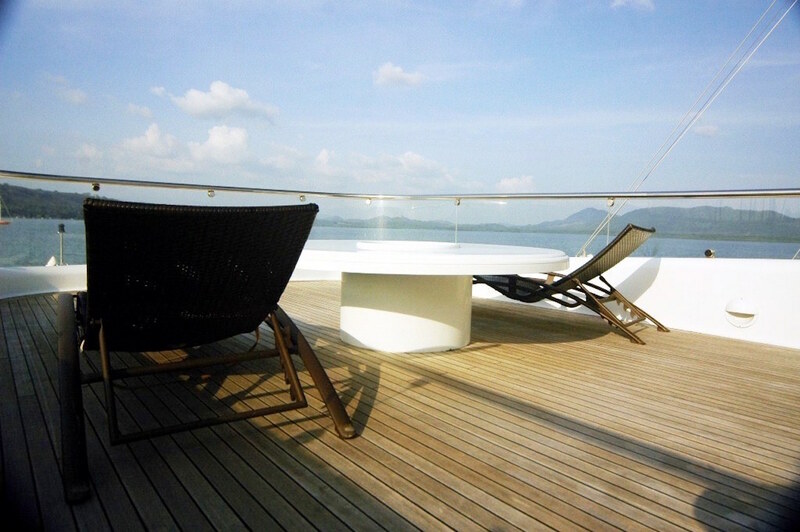 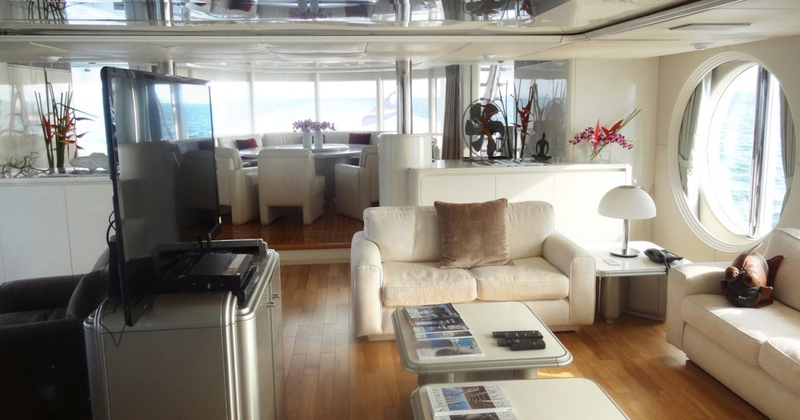 There is a lounging area with comfortable sofas on the port side, and to the starboard side, there are very deep comfortable chairs facing outboard that creates an inviting area to enjoy the beautiful views. 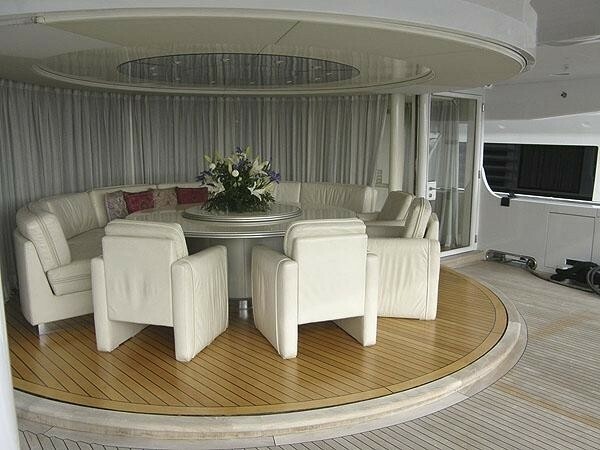 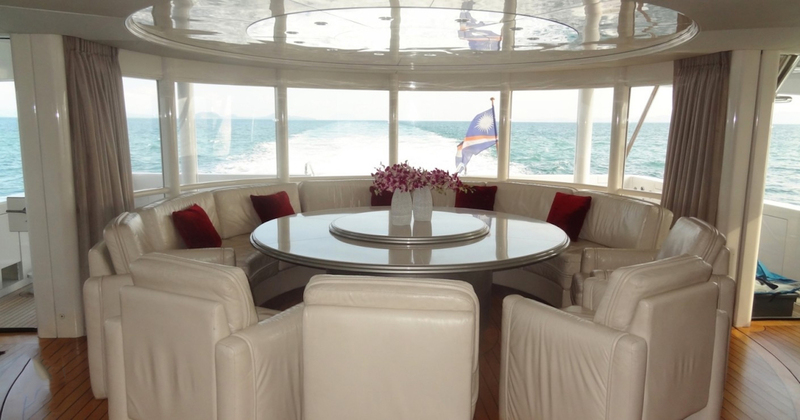 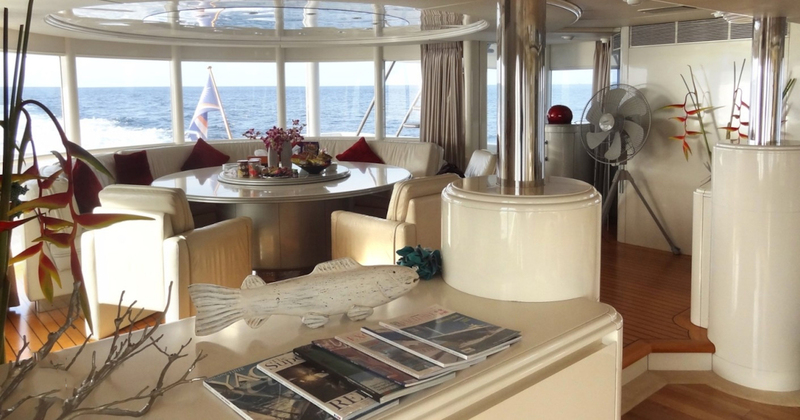 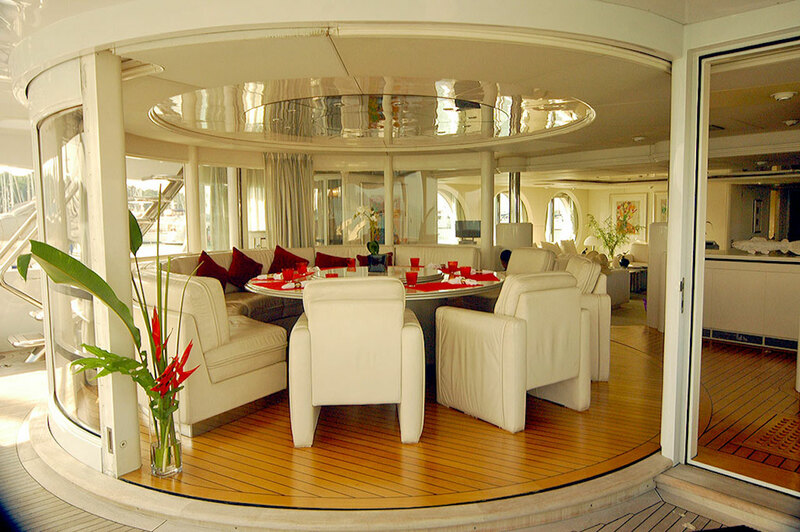 Lady Arraya also boasts a circular dining area that is surrounded by a semi-circular glass enclose which can be closed for charter guests to enjoy lunch time in the comfort of the air conditioning or opened to enjoy al fresco dinners under the stars. 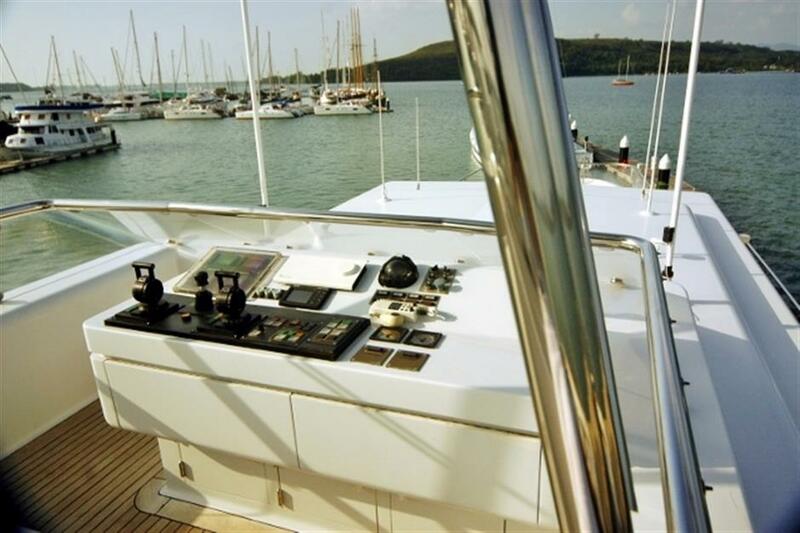 The shallow draft allows her to explore beautiful bays without any restriction, and anchor in shallow areas other yachts of this size are unable to. 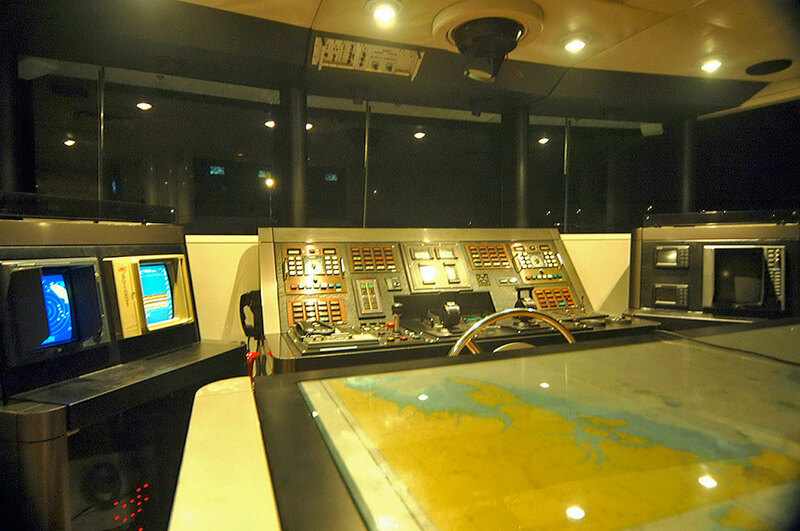 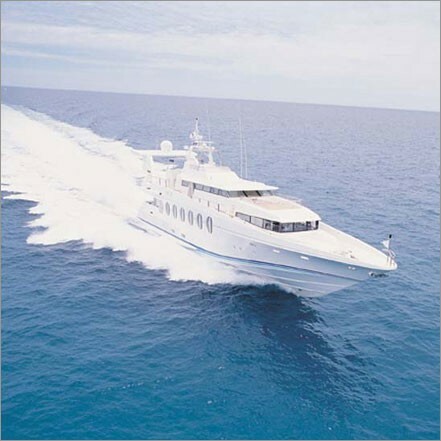 This yacht is ideal for cruising in style and has experienced international crew who will cater to your every need. 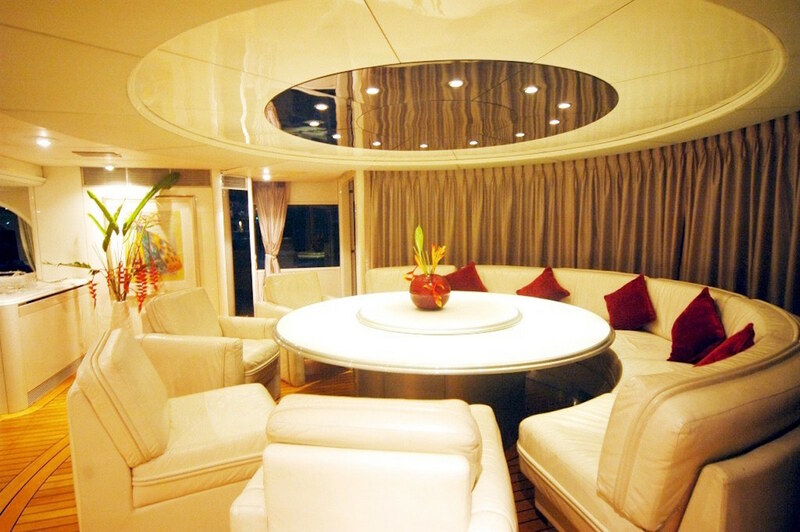 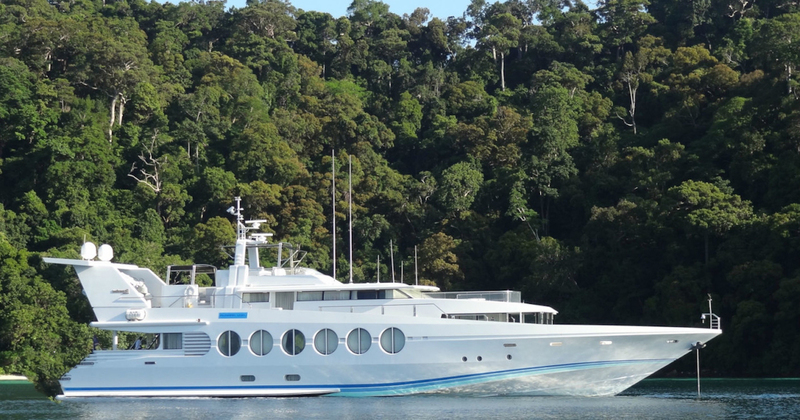 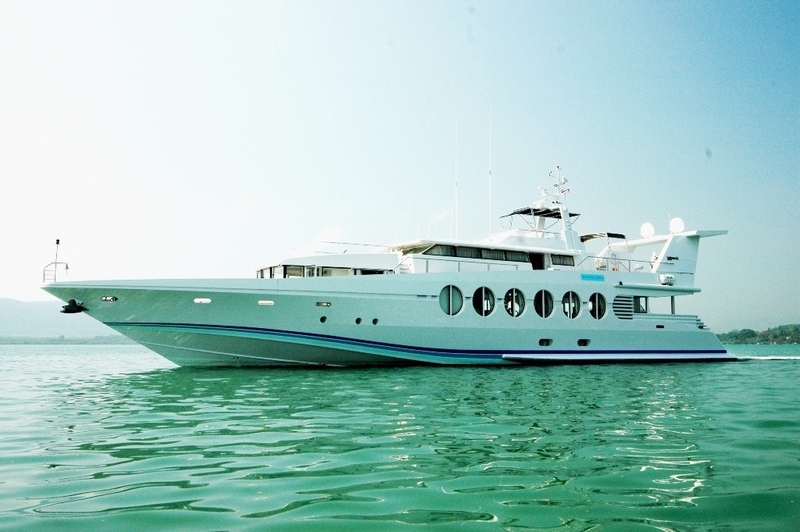 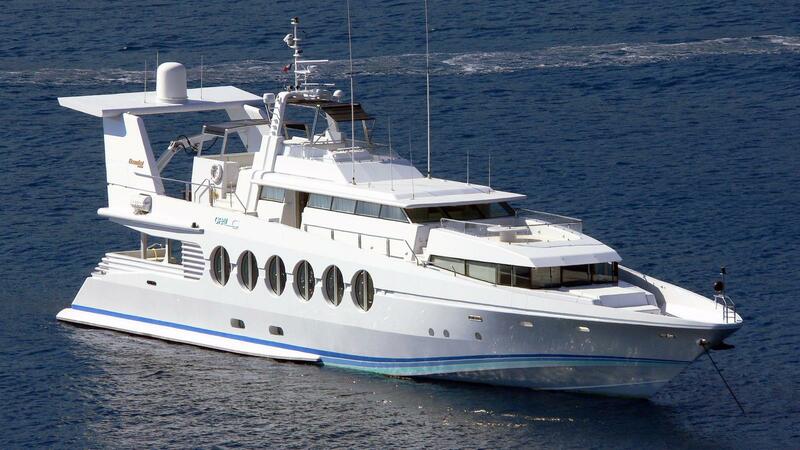 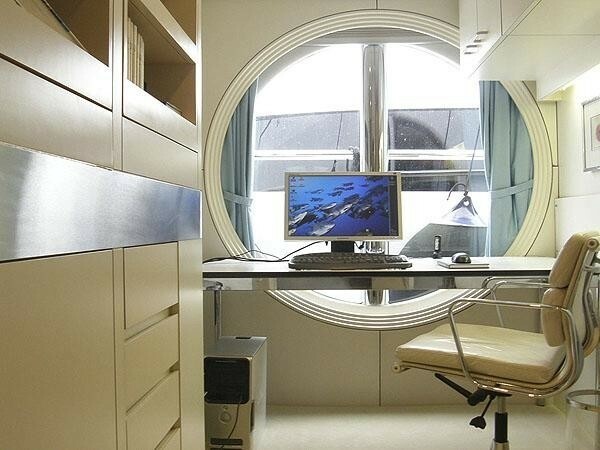 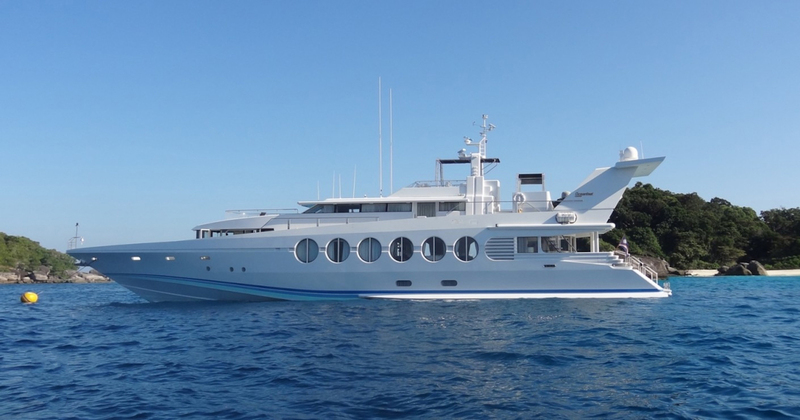 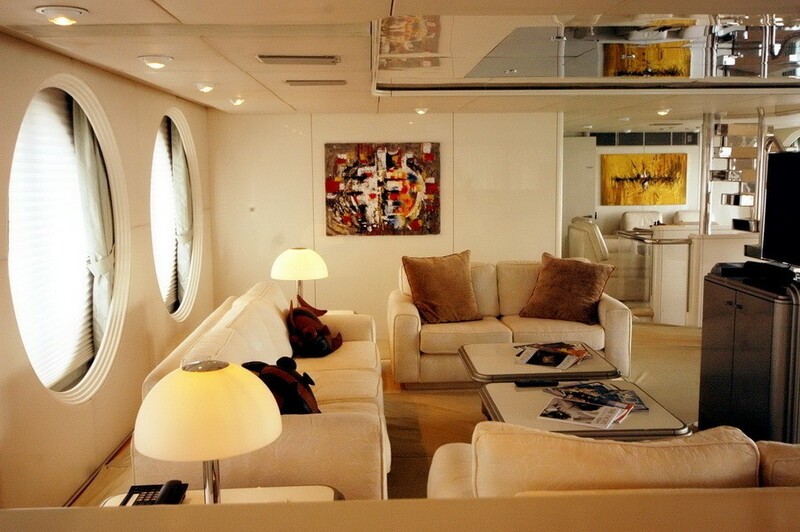 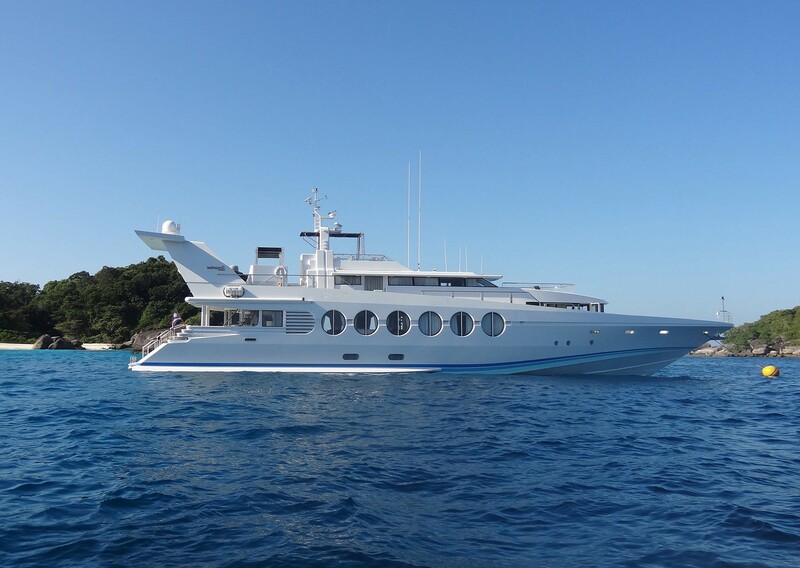 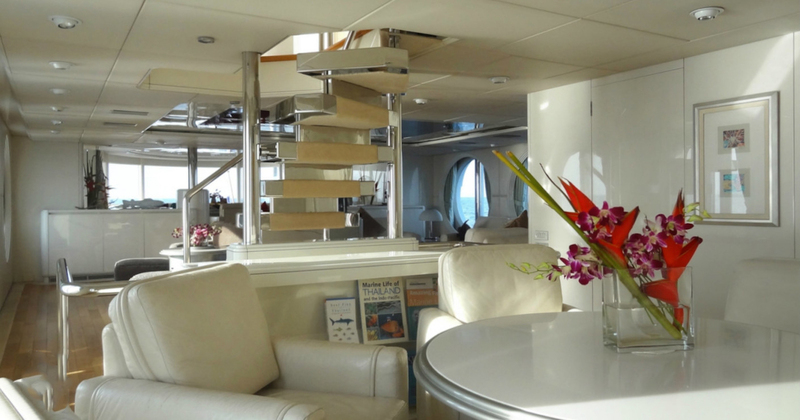 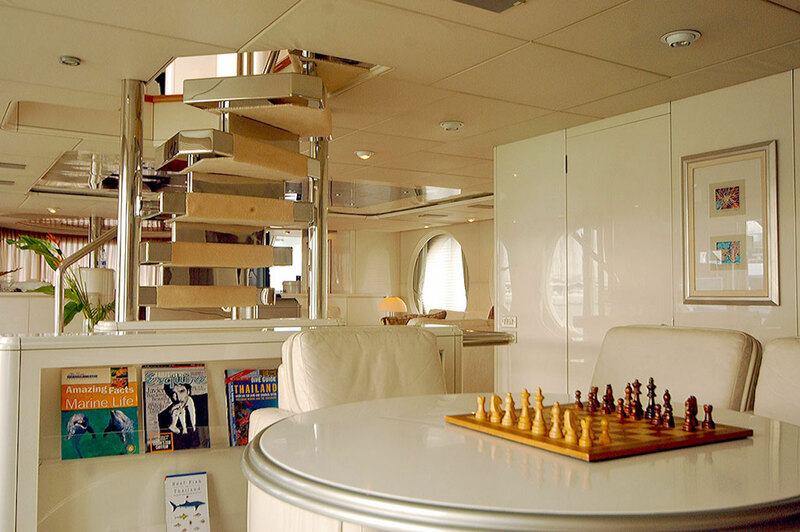 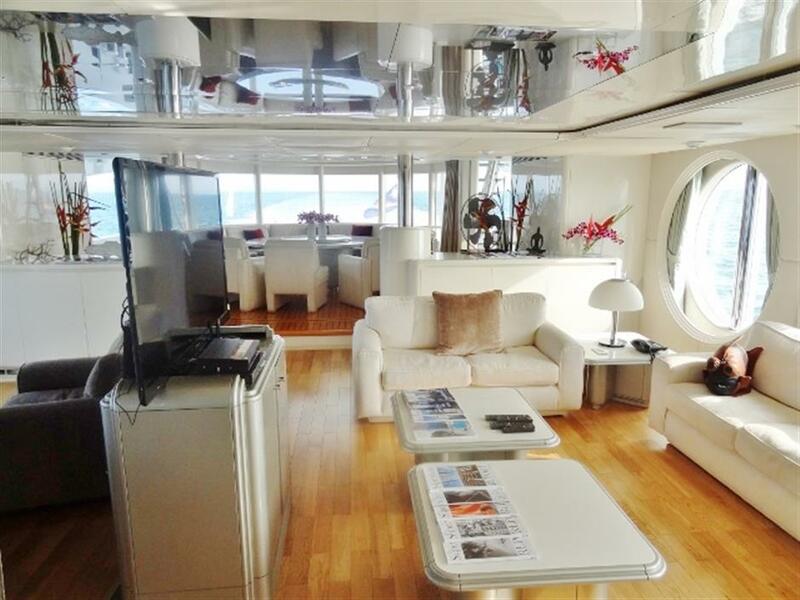 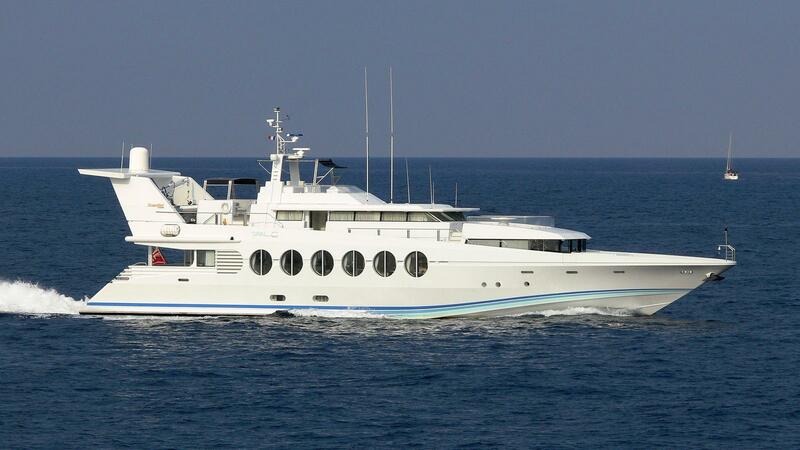 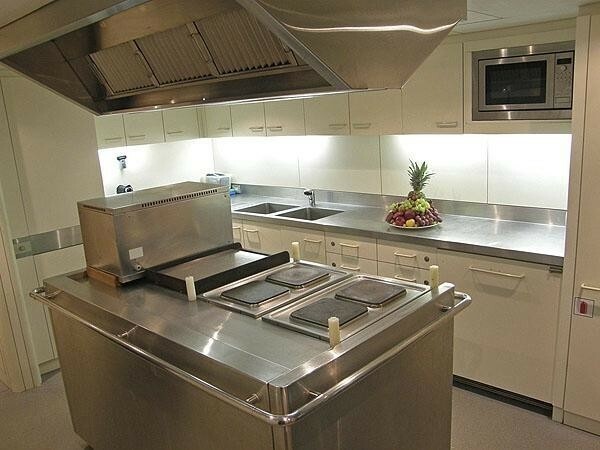 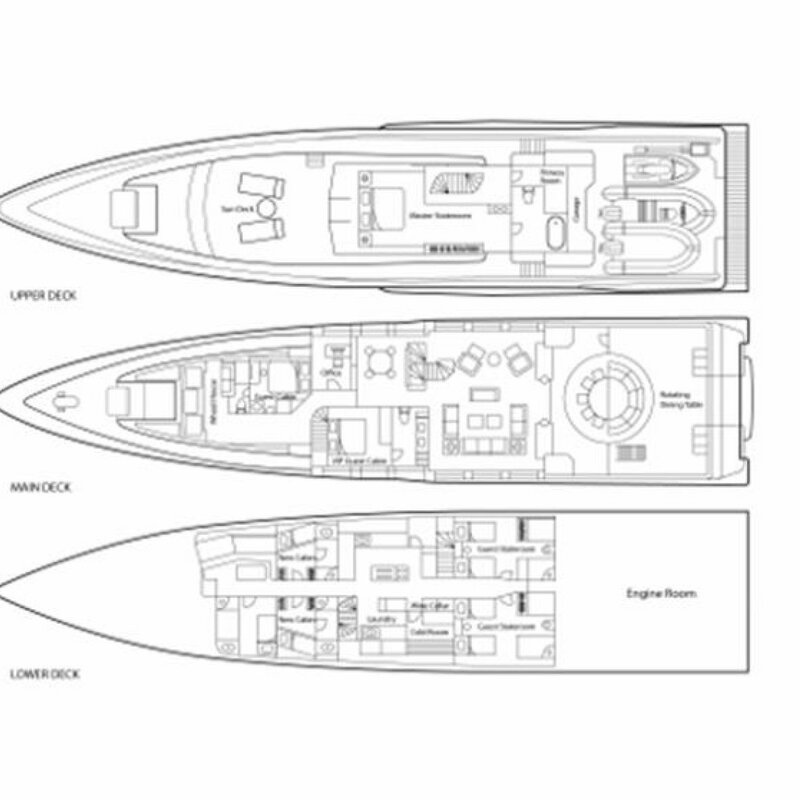 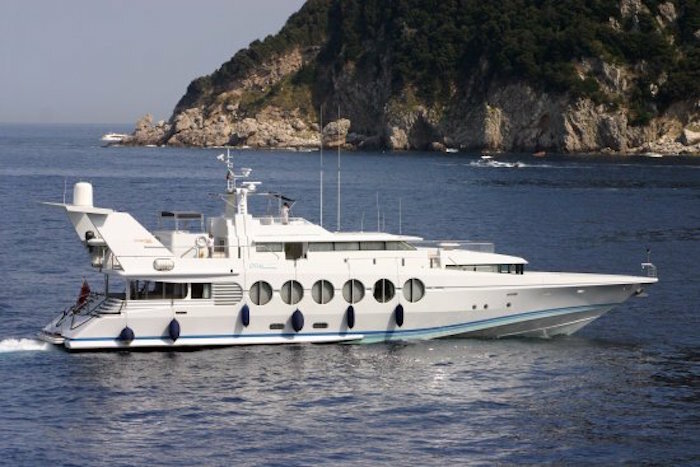 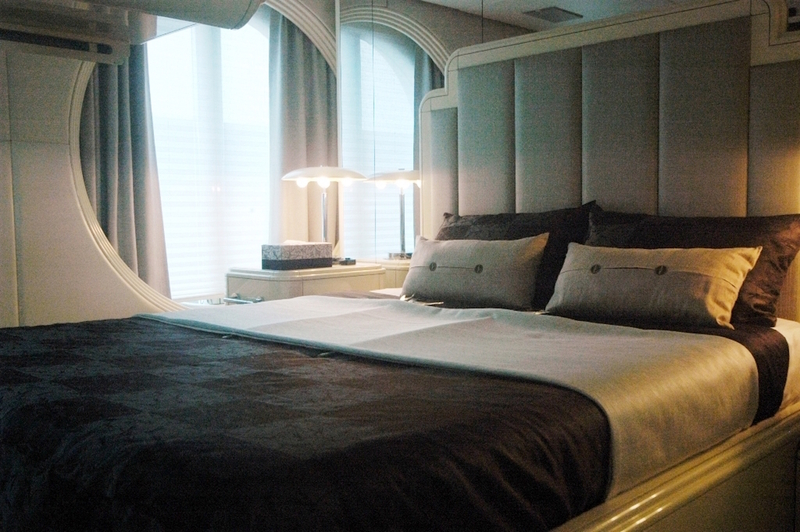 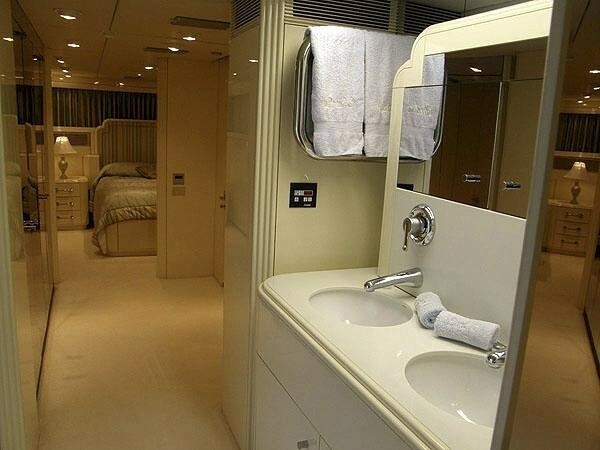 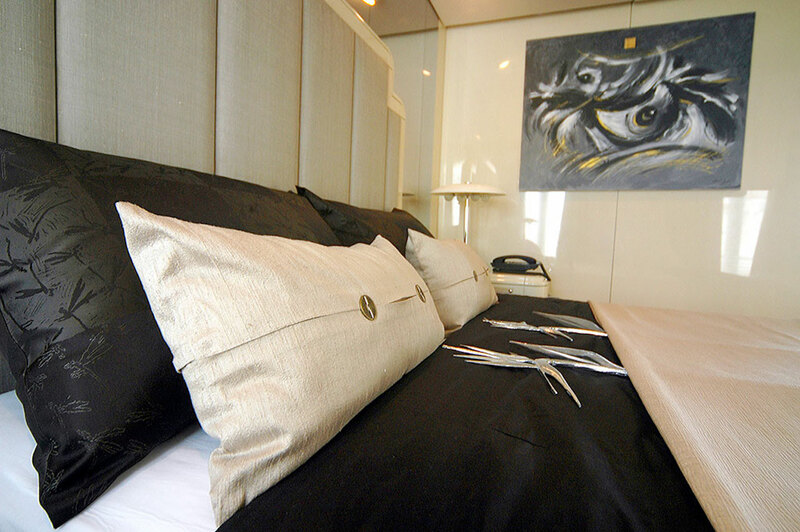 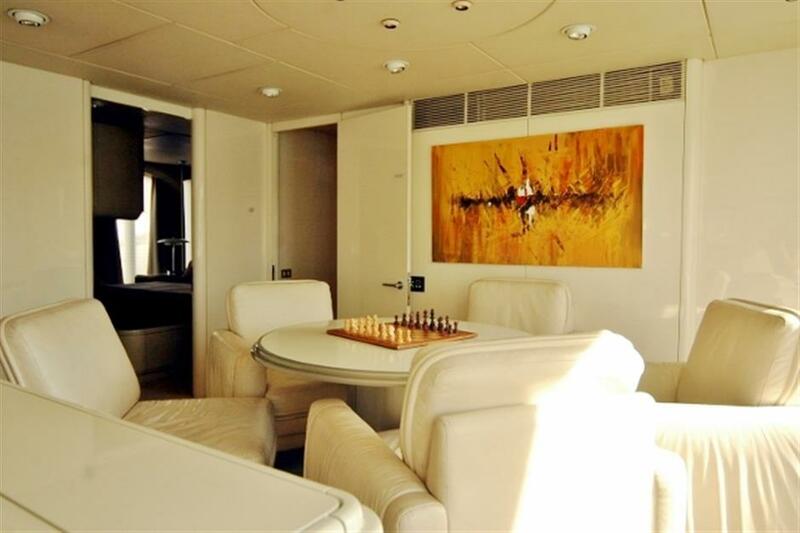 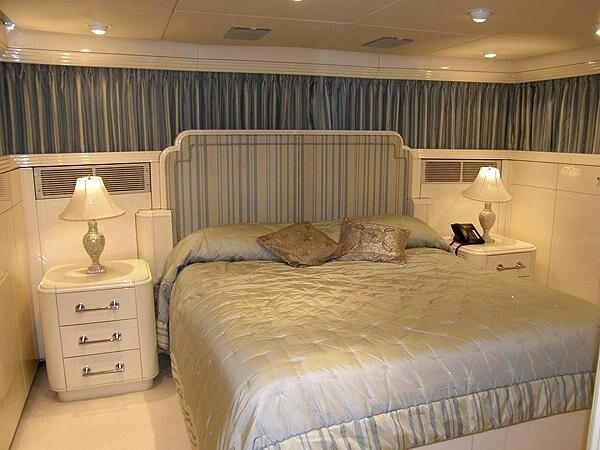 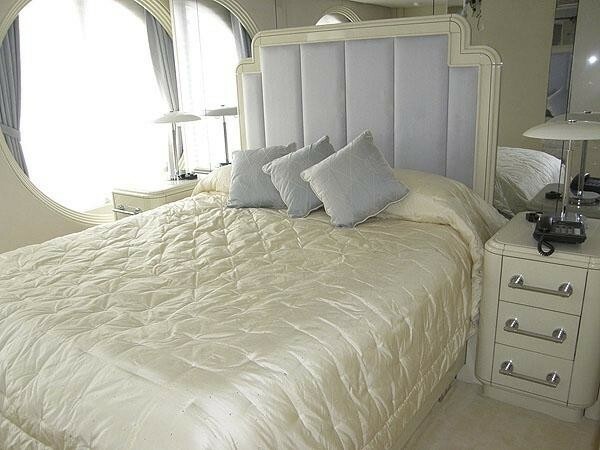 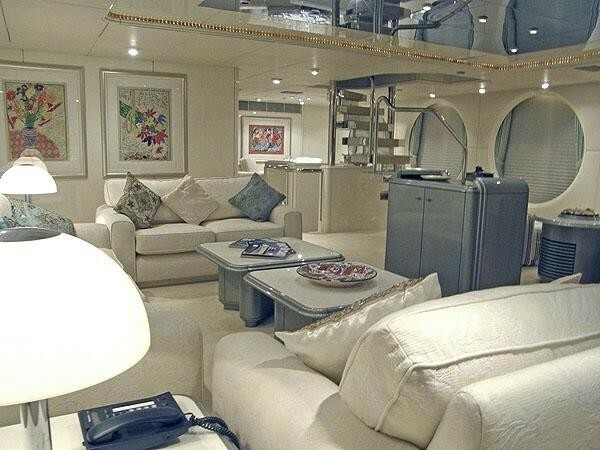 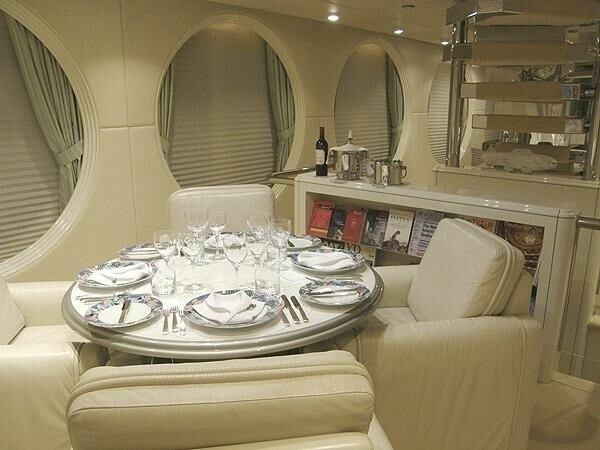 Luxury motor yacht Lady Arraya is able to accommodate up to 10 guests in 5 cabins, all with ensuite facilities. 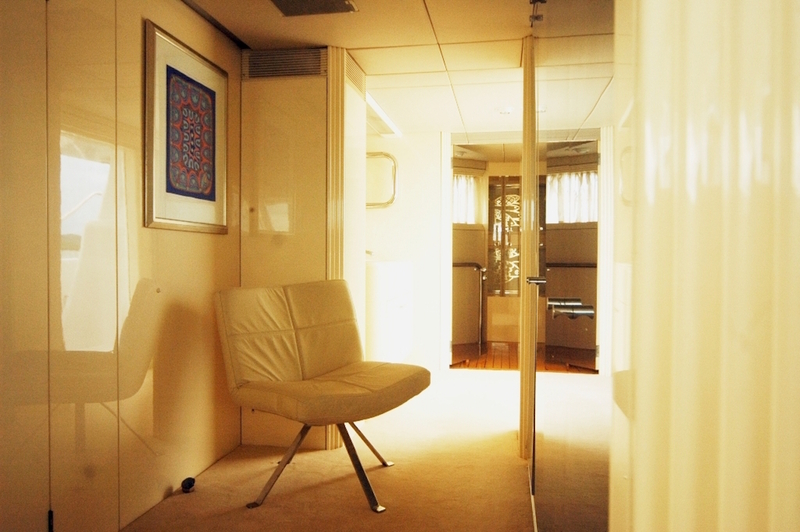 The cabin configuration comprises of one Master suite, one VIP cabin, one Double cabin and two twin cabins. 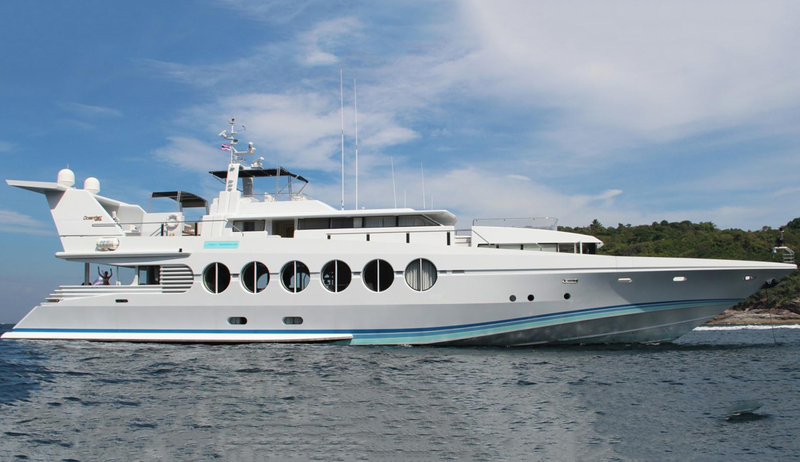 Motor yacht Lady Arraya features the following selection of Tenders and water toys: 3 tenders, (Tenders: 4.3M Novurania inflatable with 50hp Yamaha, a 4.5M Caribe inflatable with 75hp Yamaha and a 3.8M Novurania inflatable with 4.0hp Yamaha) , a wave runner (3 pax), 1800cc, 2 sea kayaks, Dive compressor and dive equipment, Snorkeling gear, Fishing gear, Water skis. 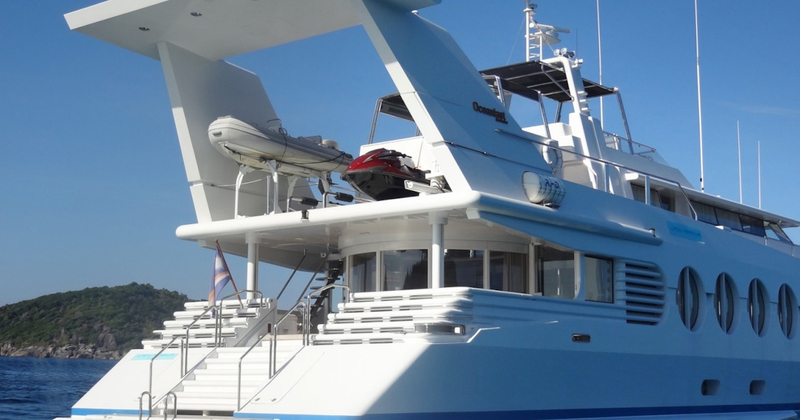 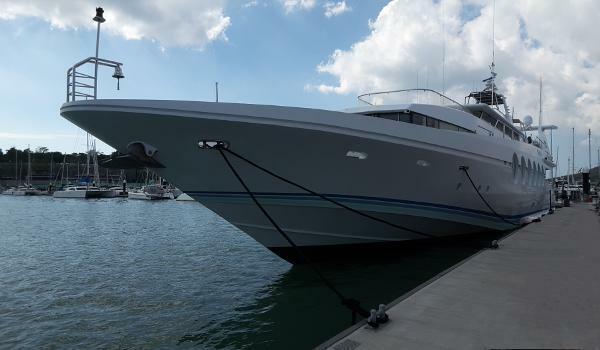 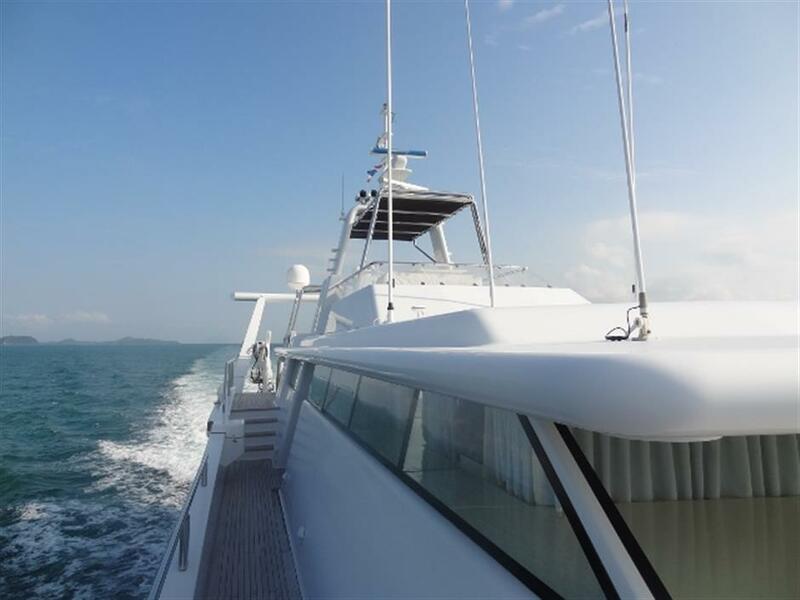 Communication and entertainment equipment includes: Satellite phone, Office with PC and internet connection, Small gym, Spa Pool on the flybridge.